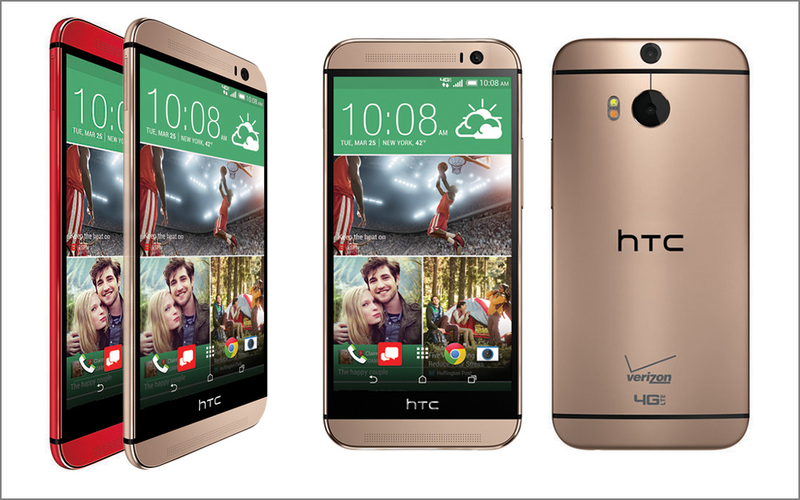 We broke news on this last night, but Verizon has made the HTC One (M8) in Glamour Red official for June 5. They are also adding the Amber Gold variant, both of which will be available for $199 on 2-year contract. Both new colors can be purchased both online and in Verizon stores starting Thursday. For a limited time, Verizon is offering $100 off any smartphone priced $199 or higher, so the One (M8) and its two new color variants are included. Of course, the $100 is only for contract signing. The specs remain the same for the the gold and red variants, meaning you are looking at a 5-inch 1080p LCD display, 2.3GHz Snapdragon 801 processor, 2GB RAM, 4MP (“UltraPixel” Duo Camera, Sense 6.0, and that beautiful all-metal body. Be sure to read our HTC One (M8) review if you have not already.